Thank you for visiting my website! This website respects your privacy. When it comes to your personal information, I believe in transparency. In compliance with the General Data Protection Regulation (GDPR), here is my guidelines to set out what personal information I collect, what I do with it and your choices and rights. I receive, collect and store any information you enter on my website or provide us in any other way. 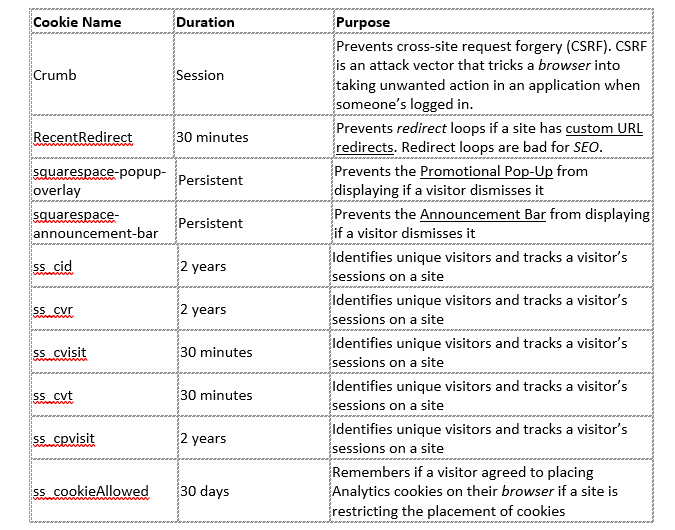 I may use software tools to measure and collect session information, including page response times, length of visits to certain pages, page interaction information, and methods used to browse away from the page. I also collect personally identifiable information (including name and email) when you sign up to receive my newsletter. Cookies are implemented in every site built with Squarespace. Please see the table for the cookies used in this site. This site believes in your privacy and your information (name and email) stays with me and is used for primarily for my newsletter email updates. If you would like to: access, correct, amend or delete any personal information I have about you, you are invited to contact me at tonimonsey@gmail.com.